AVC’s Kyisean Reed, 6’7”, 215 has signed with a level 1 team in Argentina. 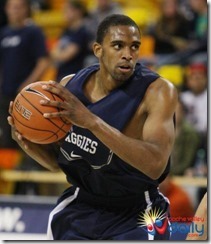 The Utah State University graduate, has healed from his knee injury and is looking toward his first professional year. Keep an eye on Key. More info to come. Change in plans. Kyisean is heading to Moscow, Russia to play professional basketball. Kyisean is playing for the NBA’s Los Angeles Defenders in the D-League. Signed with the University of Mid East on the Isle of Cyprus.